This post was sponsored by Jord. All opinions are mine alone. 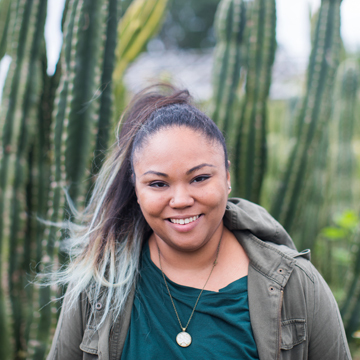 Please read my disclosure page for more detailed information. My husband is a big fan of watches. When we have free time to walk around a luxury department store, I look at makeup/fashion and my husband looks at watches. 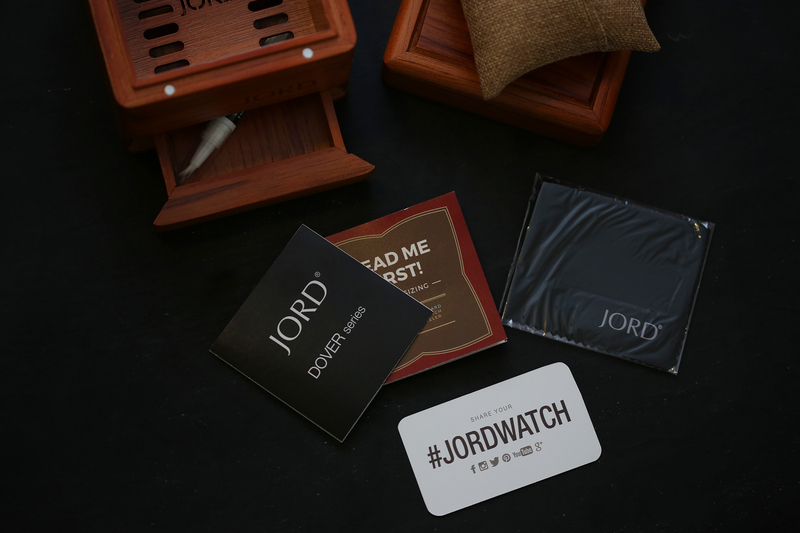 So, for my husband’s birthday, I decided to surprise him with a Jord watch. I’ve been following them on Instagram for a while because their watches are so handsome. 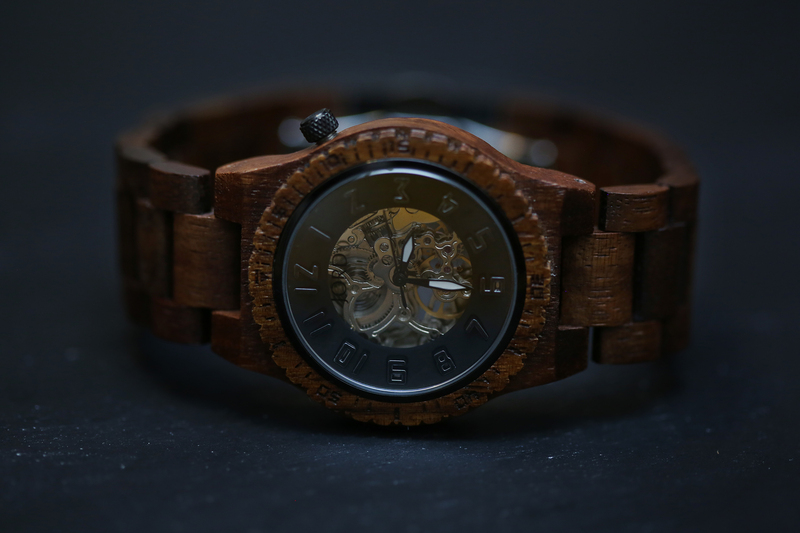 The one I chose is made from Koa wood. It’s my favorite wood. Which is a pretty weird thing to have a favorite of, I suppose. At any rate, it’s a gorgeous Hawaiian reddish wood (kind of like mahogany), that’s fairly sustainable. 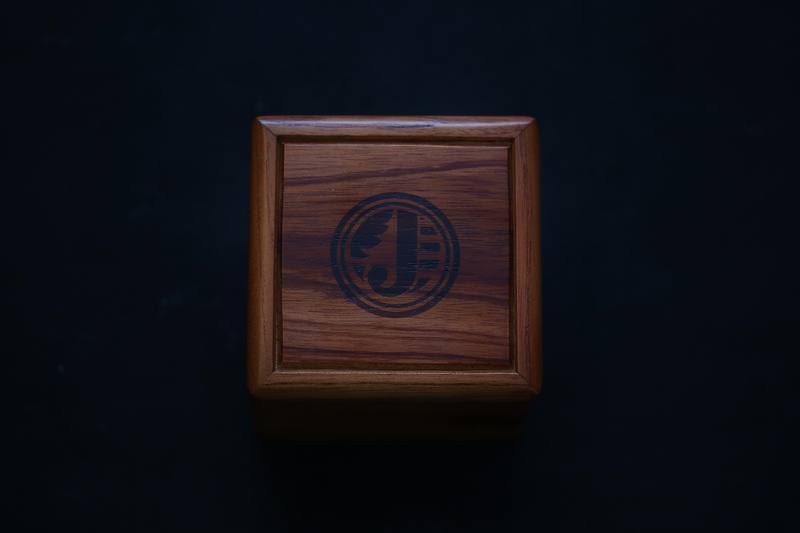 It comes in this beautiful wood box. The attention to detail is amazing! The box fastens by way of magnetic closures. Plus, it comes with all of these handy care instructions. The koa wood is pre-treated with tung oils. Isn’t it beautiful? I’m completely in love with it! The glass face is made from sapphire glass. It’s the second hardest and scratch-resistant surface (diamonds of course taking first), so my husband doesn’t have to worry about scratching it. That is a nice feature to have considering we have a toddler. It also automatically winds after the initial wear. The mechanisms are so cool! 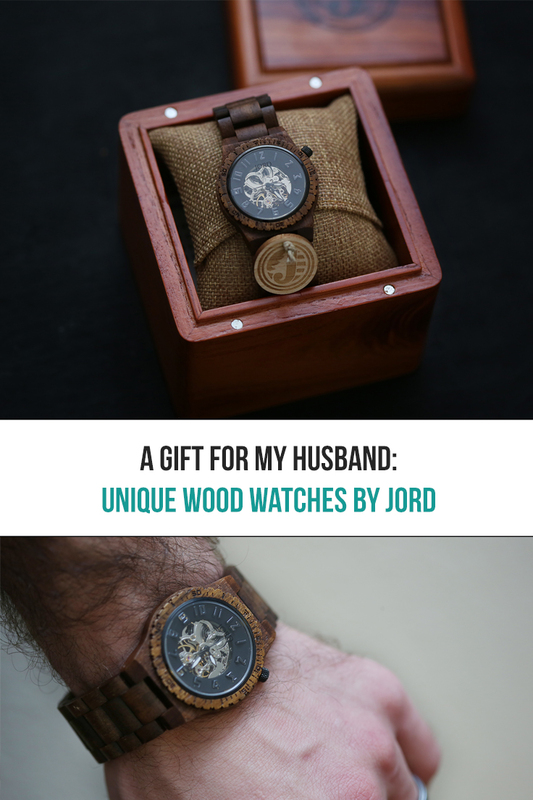 When I gave this watch to my husband, he was completely blown away. 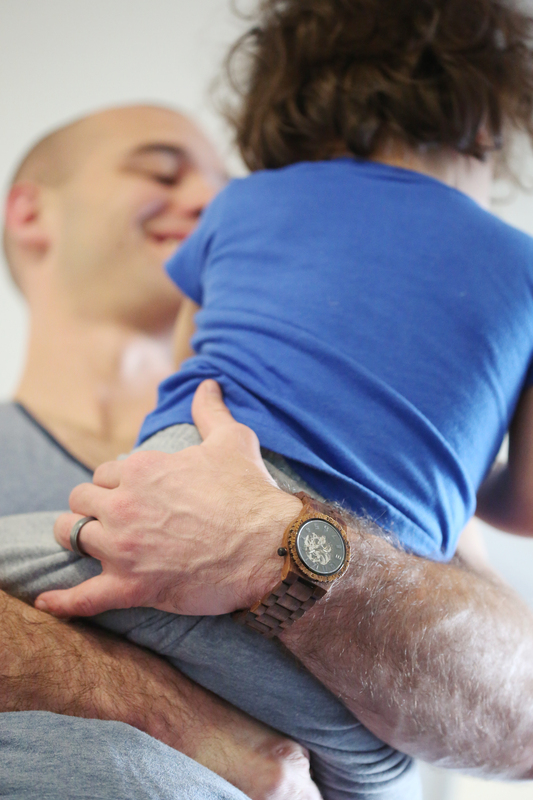 He says that it’s by far his favorite watch now. 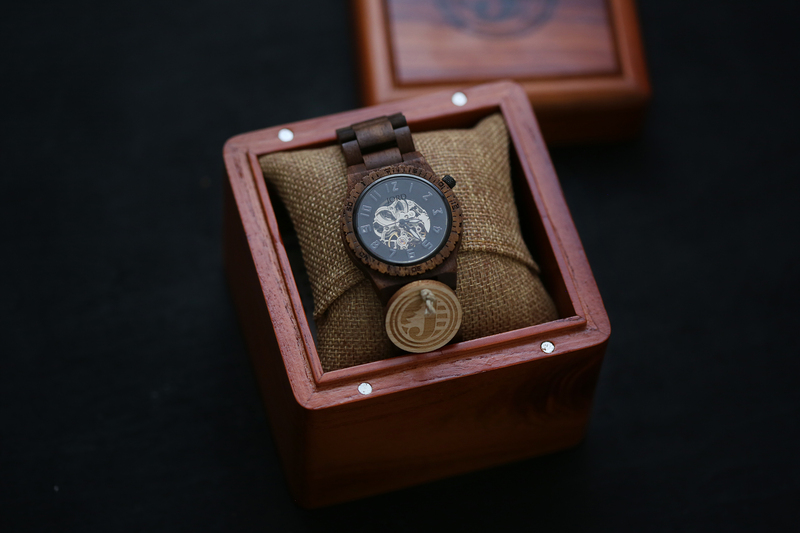 For more information about this watch and other beautifully crafted watches, check out the links below!